I was a little taken aback by how many people were interested in the new Palm phone. It’s more than nostalgia for the old Palm, which has nothing to do with this new company. Instead, I think it’s interest in the idea that Palm is trying to represent, that you can stop being distracted by your smartphone without too many compromises. You’ll probably see a handful of reviews out today — the review embargo lifted — but not from me. 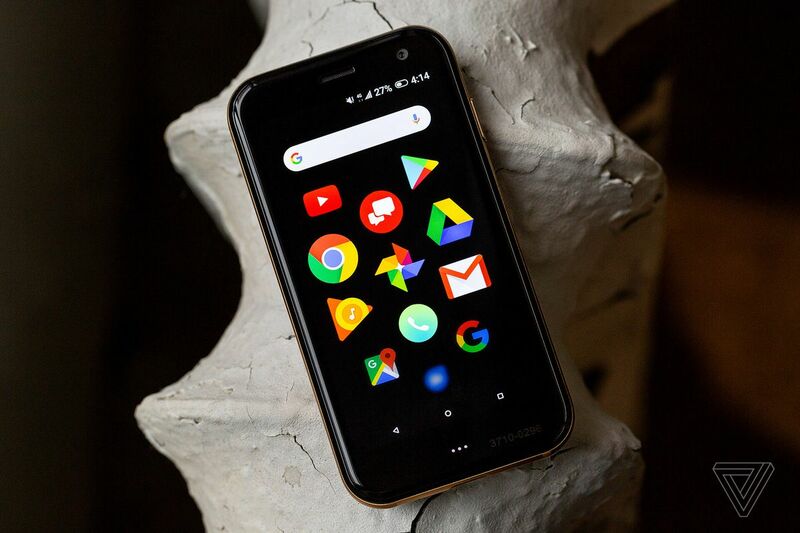 I haven’t had the kind of week where I’ve been able to truly test the new Palm’s reason for existing: disconnecting, living life away from Slack and emails and all the rest. So I’ll bring you my review on it later, after I’ve had more time to use it. Instead, I want to talk about how Palm is attempting to solve some of those compromises. There are a lot of them that it has to tackle. And it turns out that the biggest problem it tackles is one that really doesn’t need to exist anymore: how phone numbers work. Before we get there, though, let’s talk about the thing that has everybody so intrigued. 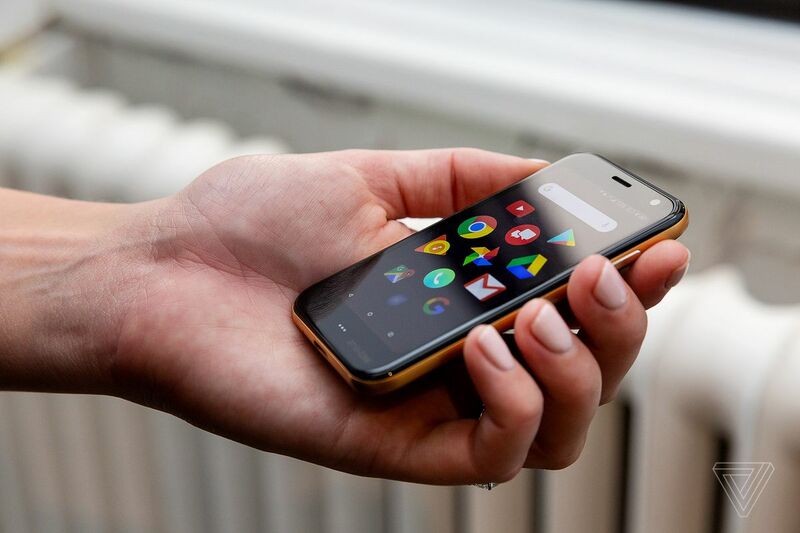 The Palm phone purports to be a saner phone, something that lets you get rid of your annoying smartphone without getting rid of your annoying smartphone. The joke that it’s a phone for your phone is very much based in reality. 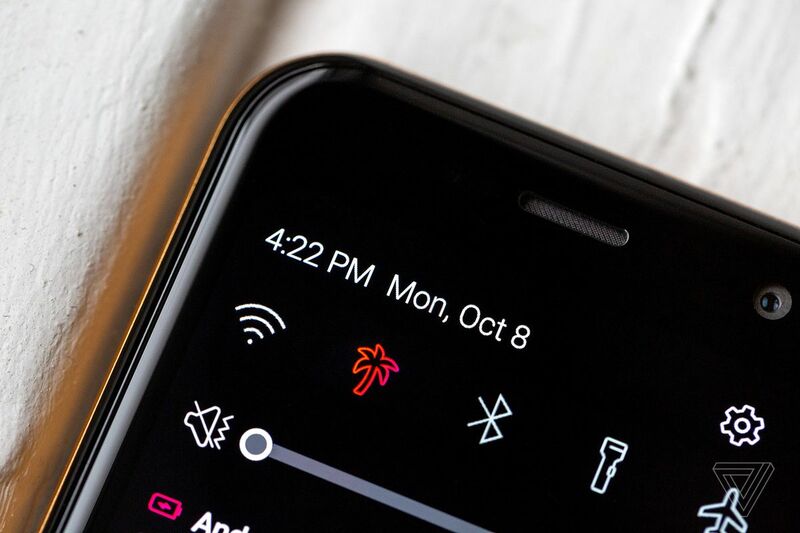 To pull that off, Palm has to do a better job at helping you dial back (pun intended) your smartphone usage than the new app use tracking features that are available in the latest versions of iOS and Android. Those features are neat, but you’re always only a tap or three away from undercutting your own efforts. You can just change your settings and you often will. The Palm phone has its own anti-distraction settings, but the big way it improves on those settings is by literally being a separate phone, one that presumably won’t have all those distractions on it. Instead of turning off Do Not Disturb, you’d have to go and download and install an app in the first place. Even if you do go that far, chances are you’d spend less time in those apps anyway because, frankly, the tiny screen on the Palm phone isn’t the sort of thing you want to get lost in for hours. But buying a second phone to help you get away from your first phone isn’t all that innovative — you can do that now, and you can do that for less than the $350 the Palm phone costs. There are a bunch of minimalist phone alternatives to iOS and Android that probably can’t run that “one app” that you need, but they’re an option. The Palm phone, as tiny and limited as it is, probably can run that one app: it’s a full Android phone, so you can always install any app as you need to. If you go the minimalist phone route, the problem you’ll run into is you’ll have a whole other, different phone number. If somebody wants to reach you, they’ll need to either know your other phone number or know to use whatever texting or calling apps you prefer. You’ll also probably be paying a little more than you’d like for that second line. It’s a hassle. It turns out that most carriers have some sort of add-on plan that lets you put a device on your line that will share the same phone number as your main phone. They all have schlocky names, too. Verizon has NumberShare, AT&T has NumberSync, and T-Mobile has DIGITS. They’re usually around $10 a month extra and — here’s the rub — most of them only work with a limited set of devices. Step back, though, and ask yourself a simple question; why? Why are phone numbers specifically tied to a single device? Other than a couple of messaging apps, I can’t think of a single communication vector that is limited in this way, tied to a single number accessible on only one device (technically a single SIM card). You can get your email, your Skype calls, your Facebook Messages, your Slacks, your whatevers on any device with just a username and password. I hate phone numbers. They’re a relic of an outmoded system that both wireless and wireline carriers use to keep people trapped on their services — a false technological prison built of nothing but laziness and hostility to consumers. It was a more hopeful time, one where it looked like services from Microsoft (Skype), Google (Google Voice), and Apple (iMessage and FaceTime) had a shot at breaking the one-device, one-number hold on things. It was four short years after the iPhone had upended the entire mobile market, so anything seemed possible. When we designed NumberShare, we created it with prioritizing connected companion devices — wearables like the Apple and Samsung smartwatches, now the Palm — to give our customers a solution that would allow them the opportunity to stay connected while leaving your smartphone at home. We’ll continue to evaluate new device options in the future. Of course, I being who I am, I popped the SIM card out of the Palm phone and slapped it into an iPhone. Calls worked fine in and out, but texting did not. However, in the course of this testing I discovered a feature that I bet most people don’t know about. With Verizon’s Message+ app, you can make any old iPhone work just like the Palm phone — it can share your number and you can send and receive texts. Verizon’s Message+ is its own, custom text messaging app. If you get a Palm phone, you have to use Message+ on both the Palm and on your main phone. For one thing, it’s the only way to receive text messages on the Palm. And if you don’t use it on your main phone, your messages will be out of sync. Before I get into my little discovery, I need to tell you that this app is awful. Like, truly terrible. Click through my tweet here to see a thread showing its hideous design and even more hideous attempts to track your data and upsell you on “eGifts.” It prompts you to make some kind of public profile. You will find something atrocious at nearly every turn. But Message+ does one very clever thing, similar to what T-Mobile’s DIGITS app does: it puts your phone number and your text messaging into an app. When you open it up on an iPhone, a text message gets sent to your main phone with a QR code. Scan it, and then you can call and text from within this app on the iPhone. The upshot is that on Verizon and T-Mobile (I haven’t tested this on AT&T or Sprint), you can make any old iPhone work as a secondary phone — so long as you’re willing to deal with Verizon’s (or T-Mobile’s) terribly-designed app. Sadly, Verizon’s Message+ won’t work with Android phones — on Android the app seems to only default to your real phone number. Google Voice does a very similar thing, by the way, but I don’t have a ton of faith that the company is going to continue to support it. This is a hack. But it worked for me, and it means that the only reason you can’t have your phone number on as many devices as you’d like is simply that the carriers haven’t gone through the technical effort to make it happen. Maybe some combination of eSIM and RCS Chat will do it someday — but I’m not getting my hopes up. This is definitely a rabbit hole here I’ve only begun to delve into — technically a NumberShare device has a different phone number, for example, and carriers automatically translate it to your phone number on their end. There are hassles with provisioning, too. But the point remains: your phone number doesn’t have to be tied to a single device. We can do it. We have the technology. Or more to the point: your phone carrier has it, and has made a business decision not to do it. I think that’s a shame. Because there’s one other super compelling thing about the Palm phone that I haven’t mentioned yet: It. Is. Adorable. It is the tiniest, cutest, most awwww-inducing phone I have held in a long time. It’s not just little, it’s widdle. Everybody I’ve handed it to this week has unconsciously lifted the register of their voice up half an octave like they were talking to a baby. It disappears in your pocket and even in your hand. So some people will spend the $350 to get this. Because it’s cute, and because it lets you have your phone number on a different phone, and because it might help you curb your smartphone habit without going cold turkey. I can’t say if I recommend anybody do that yet since I’m still reviewing it, but I can definitely say that it’s going to be natural to want to. Using the Palm phone this week, I can’t stop thinking that it shouldn’t be unique. There should be lots of phones like this. If carriers were to make it just a little easier to get your phone number on more devices — if they were willing to just make it work more like an app — then I think a lot more companies would take a chance on making something like this itty bitty thing.